Interested in art as a child, Bruce Cheever embarked on a career as a fine artist after spending many years as an illustrator. It was during those years that he discovered his affinity for tonalism and luminism. Cheever's atmospheric and bucolic landscapes are suggestive of the Renaissance era. His passion for the landscape is driven by the never-ending search for beauty. Today, Cheever's studio paintings take shape from the inspiration he gathers from his travels. Whether painting a rural scene in the American West, or a pastoral European landscape, his painting style is emerging with a uniqueness of its own. 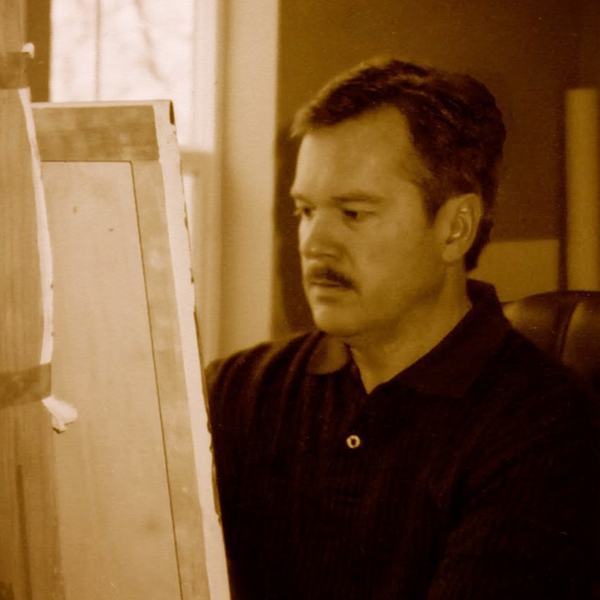 Born in 1958, this Utah artist credits his education at Brigham Young University and a professional career as an illustrator as prime training ground in both observation and discipline. Bruce has had the opportunity to travel to many parts of the world capturing the beauty of the landscape in his paintings. His love of the Western American Landscape has been a hallmark of his success. Cheever exhibits at many invitational shows around the country. Cheever has been honored to exhibit with the prestigious “Masters of the American West” show at the Autry Museum in Los Angeles CA., and "Arts for the Parks", where he was included in the top 100 winners. Bruce also exhibits at the Gilcrease Museum in Tulsa Oklahoma, and in the annual “Quest for the West Show”, held at the Eiteljorg Museum in Indianapolis, Indiana. His work has been featured in “Art of the West”, “Southwest Art”, “American Art Collector” and “Western Art Collector”. Artist Statement Art is a visual language, and as an artist, my hope is that my work is not just paint on a board, but rather a combination of inspiration, emotion and skill that combines to inspire the human soul. As primarily a landscape painter, I strive to evoke emotion in the spirit of those who view my work and to give them a sense of place in the landscape. My hope is that I can touch the chords of nostalgia and beauty that lie within each of us, and further hope to inspire others to pay attention to the simple beauties of life. Art is a confluence of inspiration and skill, which is why I consciously use harmony, balance, repetition, and spontaneity as the anchors of my compositions. Each work is carefully planned using age-old proportions of the golden mean and other mathematical divisions. My passion to create art is also driven by shape, color and movement as well as the subject matter that inspires me. I draw inspiration from what I love the most: impressionism, tonalism, luminism and realism. I admire each element for its own individual merit. When I choose a subject to render, it is the result of having had a personal connection with a certain place or thing in my life. My paintings are a reflection of my life's experiences, each painting becomes a part of me and I become a part of it; you could say that I adopt it. My aim is to give my very best mental and emotional effort to my art. I have an enormous respect for many great artists who have influenced and shaped the world for good through their artistic contributions. Thomas Moran, George Innes, Andrew Wyeth, Maxfield Parish, and many Renaissance artist of the past such as Michelangelo are among my favorites. My wife and family, as well as my parents have given me invaluable support over the years and I credit them for their encouragement along the way. My teachers and contemporaries have been great sources of inspiration and I have learned invaluable lessons not to be forgotten. My hope is to inspire others through my art and to participate in reminding mankind that the world can be good if we consciously take the time to appreciate what is around us. I am inspired by the ordinary and moved by the extraordinary and feel that both are equal in beauty if careful attention is given to both. I thank God for his gifts to me, and the ability to share them with others. I simply believe that we are all given glimpses of divinity to sooth our souls, and that each of us is given gifts to share with one another.